Founded in Turkey more than 30 years ago, Turan Kimya is one of the most important manufacturers in the field of textile screen printing in the Eurasia region. Known for its high quality products and services in both domestic and global markets, the company has expanded its product portfolio with collaborations with local and international companies. Organic GOTS certified inks produced by Turan Kimya can safely be used for the most sensitive applications such as baby clothes. Almost all their products are 100% eco-friendly, formaldehyde and AZO free Organic GOTS certified products. Turan Kimya chemical research department uses advanced technologies and high quality raw materials to provide a wide range of water-based inks and plastisol products with high quality and high performance used for different needs and product groups. 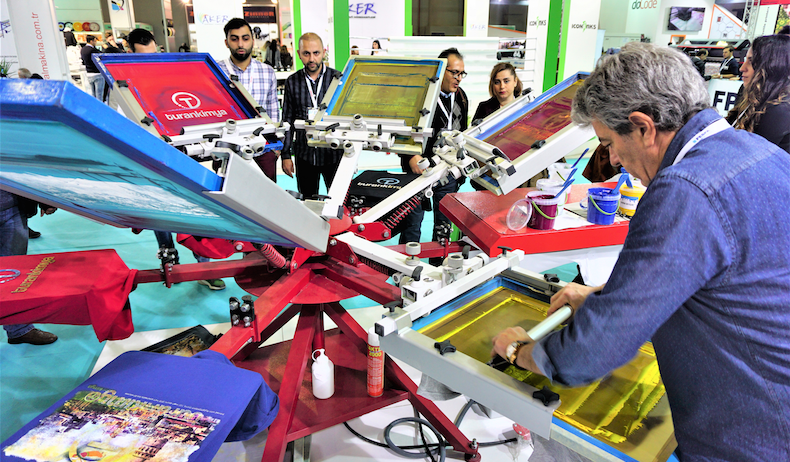 Turan Kimya has been participating in previous FESPA exhibitions across different regions, and now it is willing to be more active in the Mexican market. That's why the company decided to be exhibiting at FESPA Mexico 201, taking place from 16 to 18 November at the Centro Citibanamex in Mexico City. Angelo Barzaghi, who is specialist and consultant in screen printing, will be at the booth (Stand P50) offering visitors interactive and educational activities. He will be doing live high density printing shows of his special designs for Istanbul.